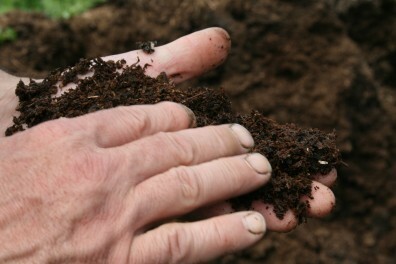 Learn how to increase the health and fertility of your garden soil for the best harvests ever! You’ll learn the answers to… What makes a good soil? How do you improve it? What is fertility? To till or not to till? Most important in the series of ten, during these two evenings you’ll learn how to recognize soil quality, develop good fertility, the importance of soil testing, and much more. Scientist and WSU Small Farms Educator Dr. Doug Collins will explore the physical, biological, and chemical properties of the soil and then describe how to enhance and manage these properties using organic methods. He’ll also cover the importance of testing and preparing the soil to insure high quality crops and yields. You’ll learn what amendments to use, and when, along with the importance of adding organic matter and how to use cover crops. For an additional $20 charge, those wanting to test their garden soil and have help interpreting the results, we’ll be collecting samples before this first class to be sent to a lab for testing prior to the second class. Interpretation will be done during the second Soils class on November 7. Soil Sampling Instructions & Form 2018. The WSU Snohomish County Extension Growing Groceries program brings beginning and experienced gardeners together with speakers and topics focused on growing healthy food using sustainable gardening practices. Developed over the last several years, the program’s goal is to increase our communities’ access to fresh, healthy food by teaching the latest research-based techniques for growing food.